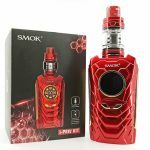 The I-Priv Kit from Smok is composed of the clearomizer TFV12 Prince Tank and the eponymous box. 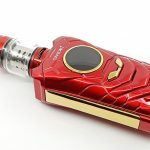 Delivering a maximum power of 230 W, the I-Priv plays mainly on its very oriented visual and benefits from the latest trend of the moment: voice recognition. But isn’t that a little too much? Note: This article has been translated from French with an automated software. Please excuse us for any mistakes that it might have caused. Leave us your comments at the bottom of this page to help us improve this translation. Thank you. 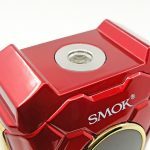 If some box mods are discreet or may not arouse the curiosity of the vaper, this is certainly not the case of the I-Priv. 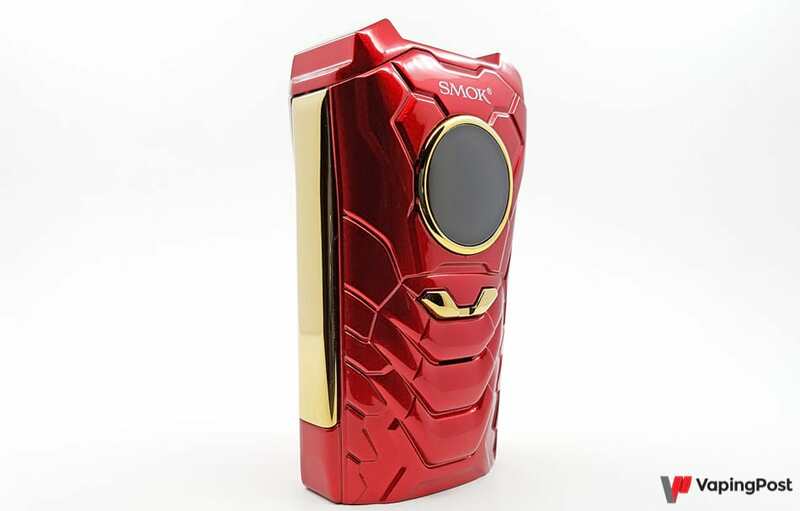 Its look undeniably reminds the character of Iron Man, especially when it is red, and the least we can say is that Smok did not go there dead hand. 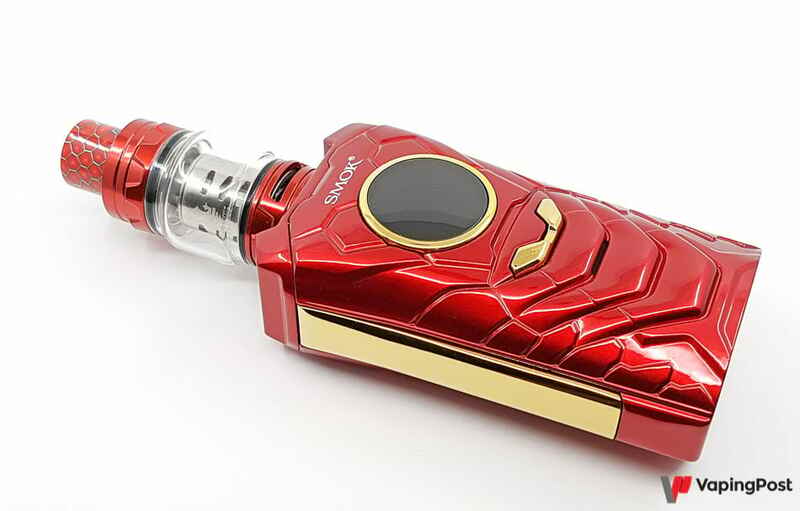 Its general shape is modelled on the top of Marvel’s character’s armor, even going so far as to symbolize the shoulder pads on each side of the clearomizer. The front side consists of reliefs representing the abs of our super hero, and instead of the ARK reactor, there is a circular screen. 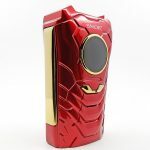 If no mention is made anywhere of any license on the super hero, except in the description of the screen (ARC reactor screen), the result is however very well made. 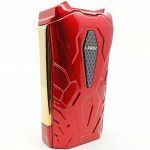 The feeling of solidity of the I-Priv is confirmed once in hand, but instead of being titanium and gold, the box is made of zinc alloy and gold paint. You can’t push the vice too far. 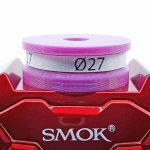 If titanium is a light alloy, this is not the case for zinc alloy and the final weight of the box with two batteries in 21700 is quite imposing: 334 g. Add to that a 70 g TFV12, and you’re equipped with a good paving stone that’s going to be hard to hide in the pocket of your little beach shorts. 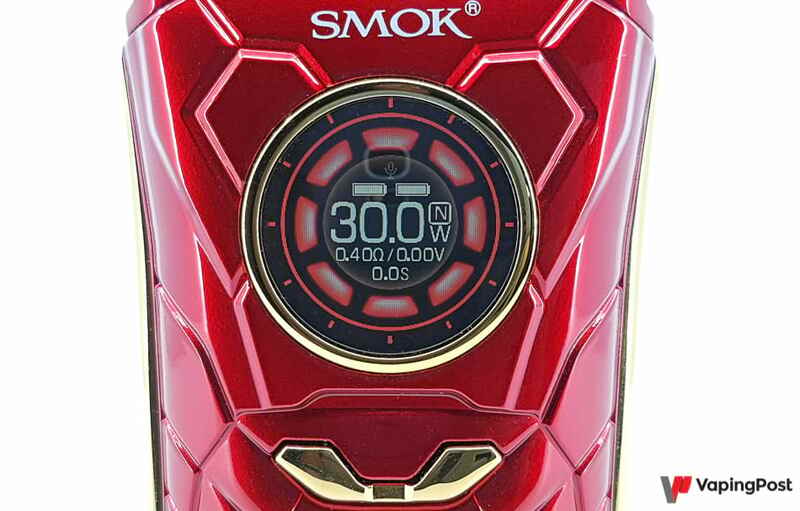 If one does not find on this box of missile launcher or other trinkets being used to track down the bad guy, Smok has however equipped the I-Priv with a small LED. It is located just below, just like the USB plug. Unfortunately, this LED is only accessible through a submenu or voice recognition, a dedicated button would have been much more convenient, but the intent is laudable. The fire can be activated by a bar. It can be used from the bottom third to the top and the click is short and firm. 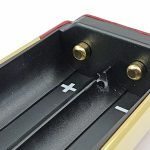 If this bar fire does not present a backlash, it is not the case of the dummy piece on the opposite side which moves and produces annoying squeaks. An attic for a purely decorative element that has no function. 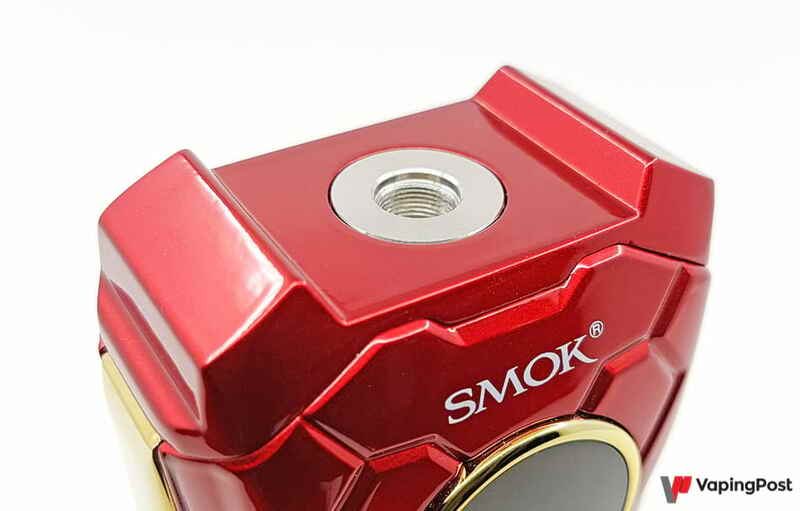 The connector does not present anything particular and accommodates an atomizer up to the diameter of 24 mm, 27 mm if the small overhang above the front and rear facades does not bother you. 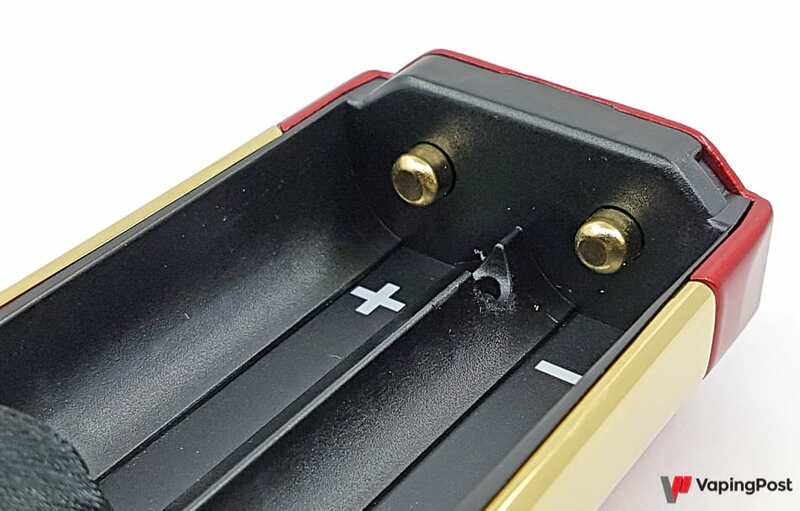 Note that this connector is slightly encased compared to the top of the box, and if all the atomizers will be really flush, expect to see quickly appearing traces of friction due to the assembly and disassembly. 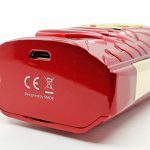 The battery compartment is accessible by removing the rear cover. Maintained by 2 magnets, it also has two small dewclaws on the top to retain it. 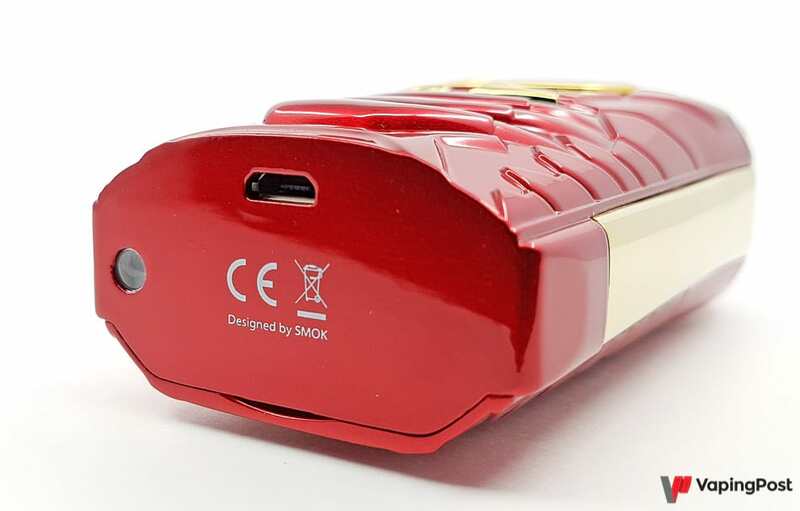 The inside is neat, there is a very practical strip to remove the batteries, the polarity markings are perfectly visible with their white color. 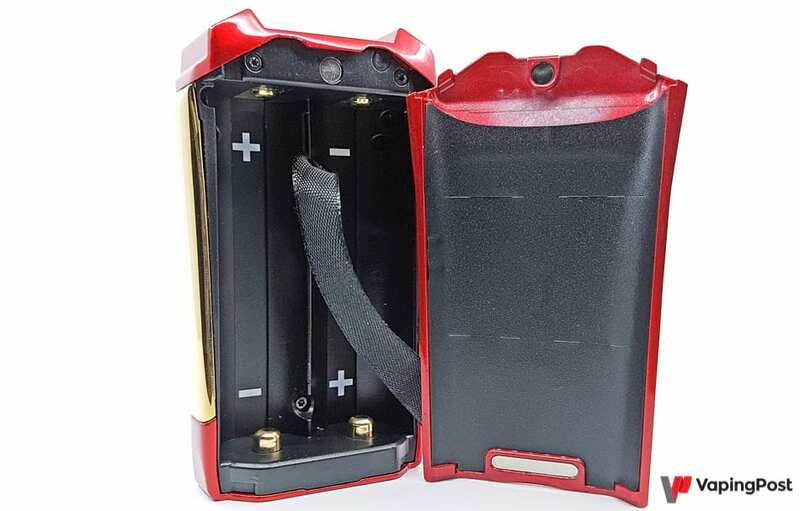 The I-Priv can receive batteries type 21700, 20700 as well as 18650 thanks to an adapter supplied. This adapter is made of rigid plastic, again it’s strong. The two lower poles are spring mounted, but they are too firm, especially with the 18650 in their adapter. 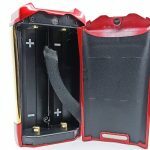 It is difficult to insert and remove them without the envelopes of the batteries taking a blow on the way. 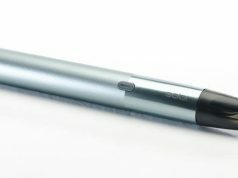 Its look will please or not, but the I-Priv is original and has good finishes, except for the side bar. The paint is of quality, the various elements well adjusted, the box seems made to last. Let’s now turn to the other innovative aspect of the I-Priv voice recognition. No need to ask it what time it is or if tomorrow’s weather will be fine, the I-Priv only recognizes certain commands that you will have to dictate in English. 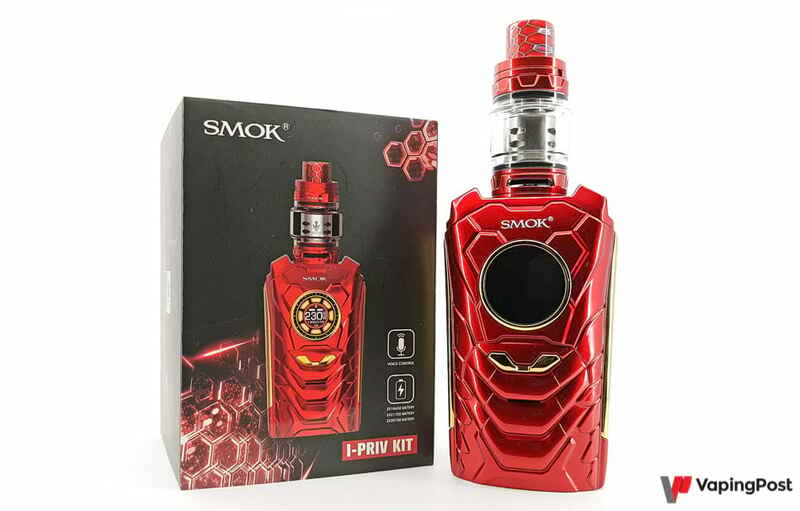 Thirteen commands are recognized of which only 5 concern instructions directly related to the vape: increase or decrease the power, switch to power mode, CT or custom mode. 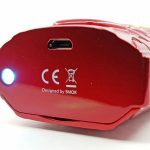 The rest concerns only commands related to the colors of the display, the LED located below, to lock the box etc…. As always with devices that execute voice instructions, everything starts with the main command that turns the system on, and here it will be “hello I-Priv”. Although theoretically it sounds simple, it took me 20 minutes to finally make myself understood (but please note I’m french, nobody is perfect). 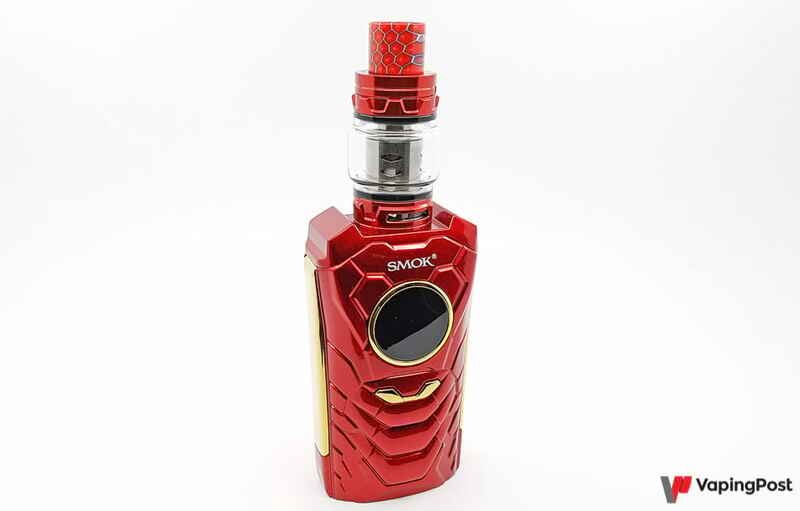 The most mockers will say that my pronunciation must be very rotten, which I don’t deny, but after watching a video of the American reviewer Good Guy Vapes, I can tell you that he too had a hard time and that the box almost ended up as a spare part. When we finally make ourselves understood, the box proudly answers us in a nasal voice an “I’m here! “, because yes, besides she talks, and it is perhaps even the most painful. We’re very, very far from the voice syntheses that exist on smartphones or connected speakers, here it’s more 50’s atmosphere and reminds Robby the robot in the movie Forbidden Planet. Three voices are available: female, male and robot. The choice is not easy, because all three compete in mediocrity, making the depressive voice of Google Maps sound perfectly natural and sensual. Unfortunately, it is not possible to cut the quid or even to play on its volume, it is all or nothing. So this is exactly the kind of novelty that brings nothing but irritation and frustration. 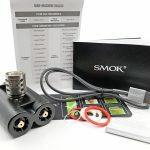 What is the point of having a voice command that is only used to raise or lower the power and change the vape mode when it is so simple to press a button? Some will say that in a car for example it can be practical, but no, because in an environment that is not totally silent, the I-Priv does not recognize anything. For the visually impaired? 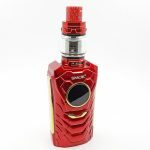 No more, because the commands are too few, only concerns the power (it is not possible to raise or lower the temperature), and you cannot have a voice feedback on your setup like the selected power or the resistance value. And the funny thing is that it is only possible to indicate a voice command when the box is on, not when it is in standby. The I-Priv display has a resolution that allows easy reading and good brightness. 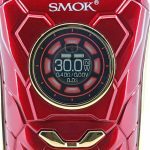 Unfortunately, Smok also favours visual effects on the functional side, and only about 50% of the screen is only used to display information. 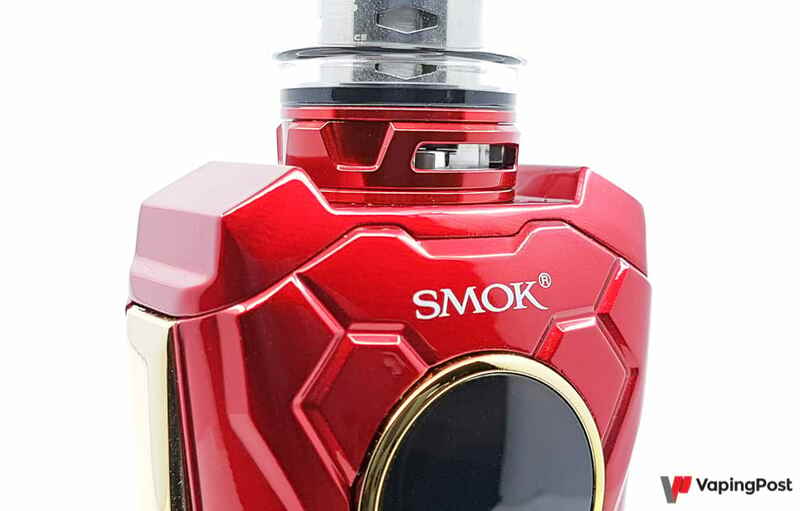 The rest of the screen is occupied by totally useless visual effects, like a circular animation when you press the fire bar but you never see it because you’re just vaper. However, displaying amps when in memory mode or power in TC mode would have been much more useful. 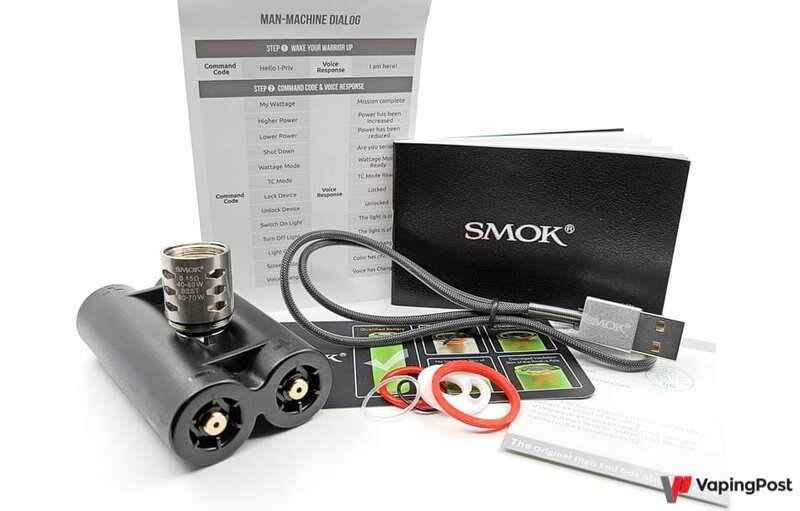 The main steam modes are of course available: power mode, temperature control in Ti, Ni and SS, as well as a memory mode where it is possible to store no less than 23 different powers. You’re gonna say I’m moaning, but what’s the point of memorizing 23 powers? The + / – button is not used to change it quickly? 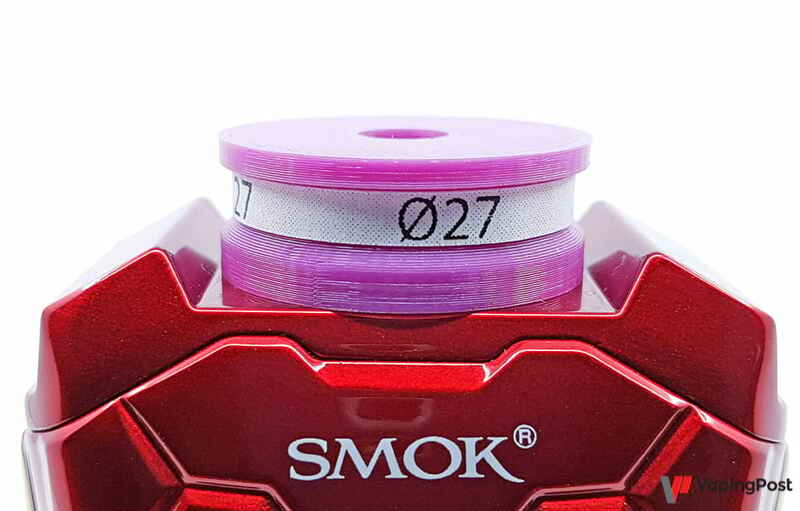 Especially when you’re going to laugh, but in TC mode, you can’t save any parameter and each time you change resistance or atomizer, you’ll have to indicate again the type of wire, the desired power and the TCR coefficient. Terry Gilliam couldn’t have done better. On the other hand, the navigation within the various menus is ergonomic and intuitive. 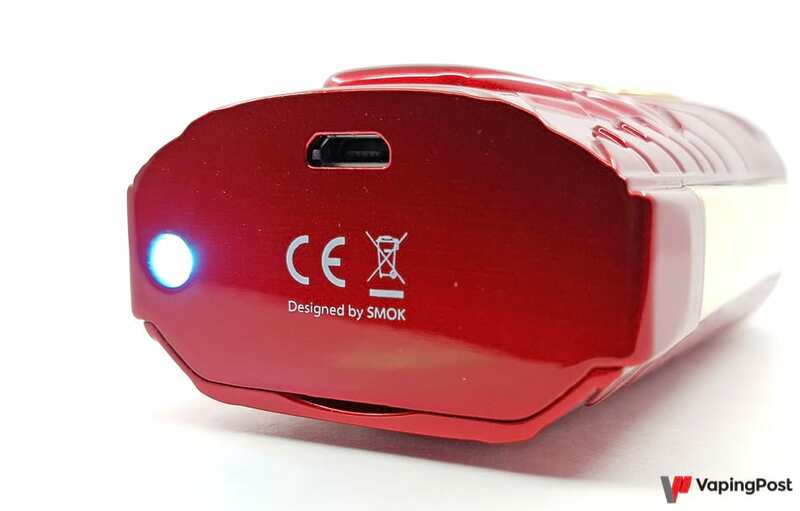 The movement is made with the + / – button and confirmed with the fire bar. The presentation is clear, it is not necessary to memorize the documentation to use it. At least here’s something successful. 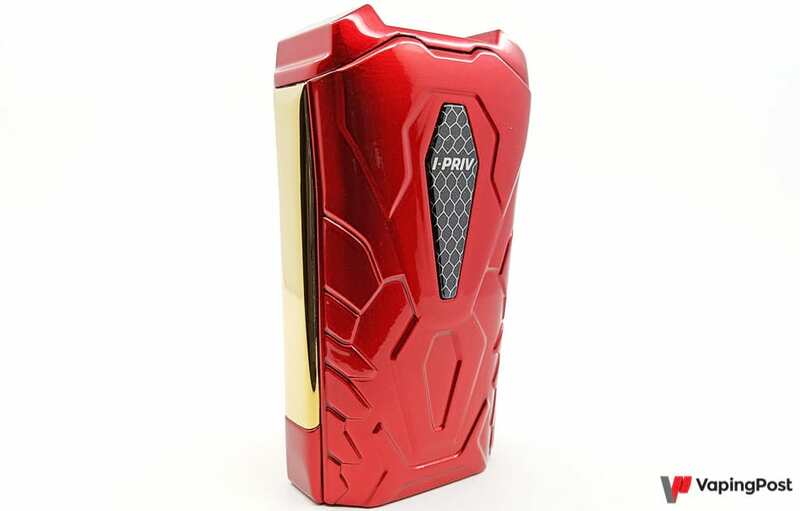 Based solely on its look, the I-Priv is a box mod with very generous dimensions, consistent weight and with a voice control as useless as disappointing. 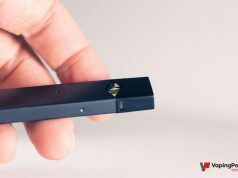 The fun effect lasts only 2 minutes and you quickly move on to something else, especially since the I-Priv brings nothing more than the vast majority of boxes on the market. 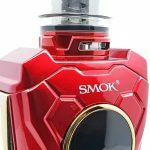 In short, it is time for Smok to propose more relevant innovations that bring real added value.